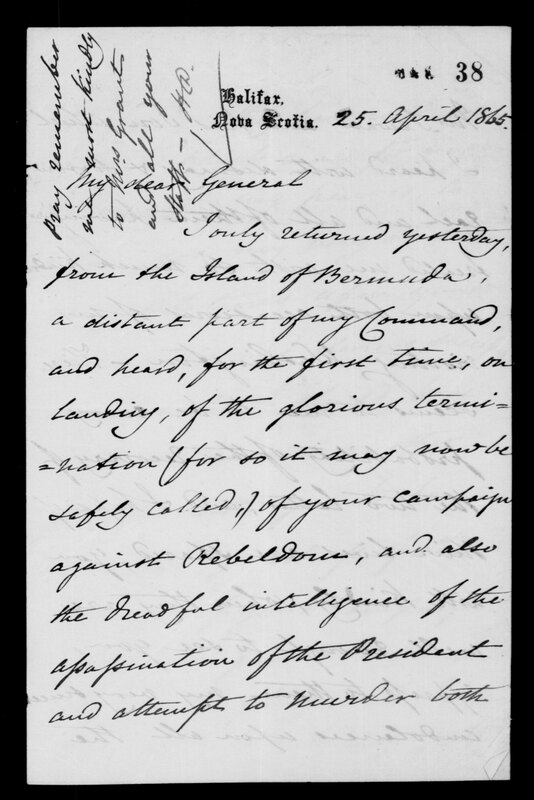 In this letter from Sir Charles Hastings Doyle, a friend of Ulysses S. Grant and major-general in command of British troops in the Atlantic area, Doyle expresses his sorrow over the assassination of Lincoln. Doyle also goes on to thank Grant for his hospitality while visiting him in Center Point, Virginia and invites Grant and his wife to visit his home in Halifax, Nova Scotia. Pray remember me most kindly to Mrs. Grant and all of your staff.